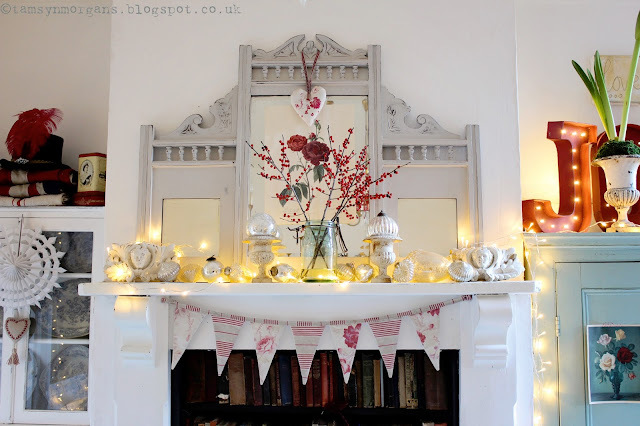 As promised here are some snaps of my festive decorations in my dining room. 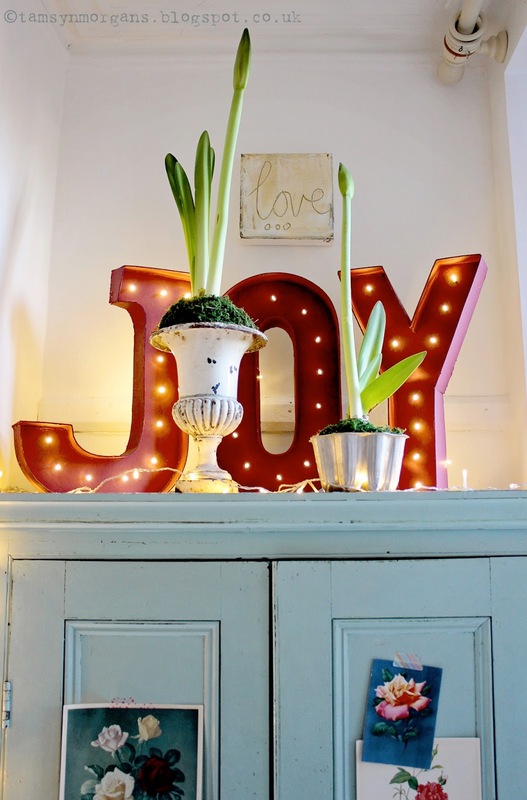 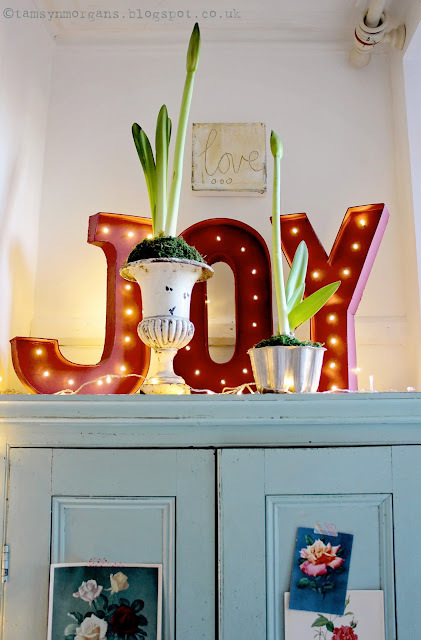 The ‘Joy’ letters were from my vintage circus party back in the summer, and have been stored in the attic for the last six months. 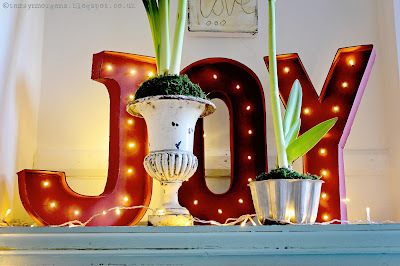 In full, they actually spell Joyland, but I had an absolute brainwave yesterday to use the first three letters as part of my decorations, and I love how they look on my green cupboard. 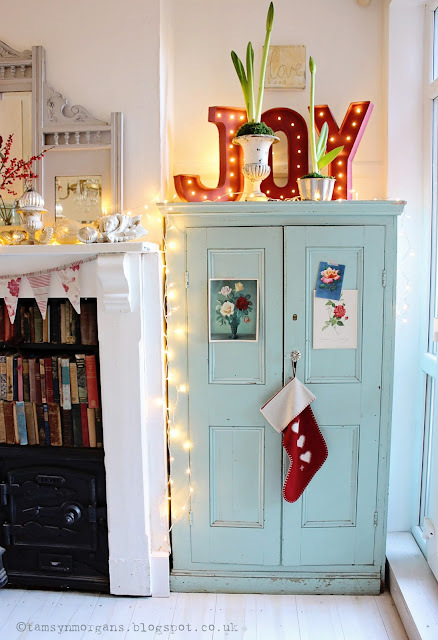 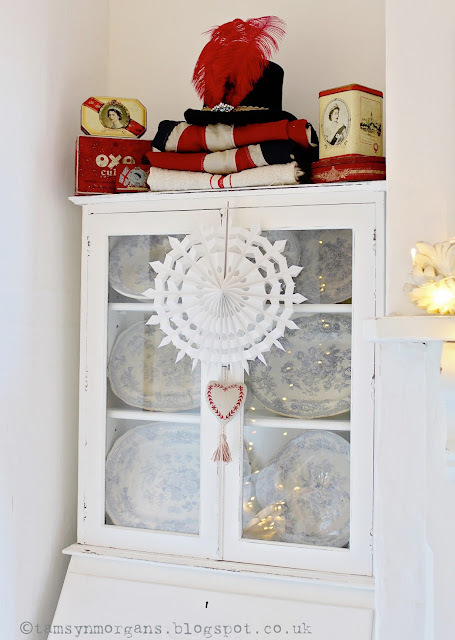 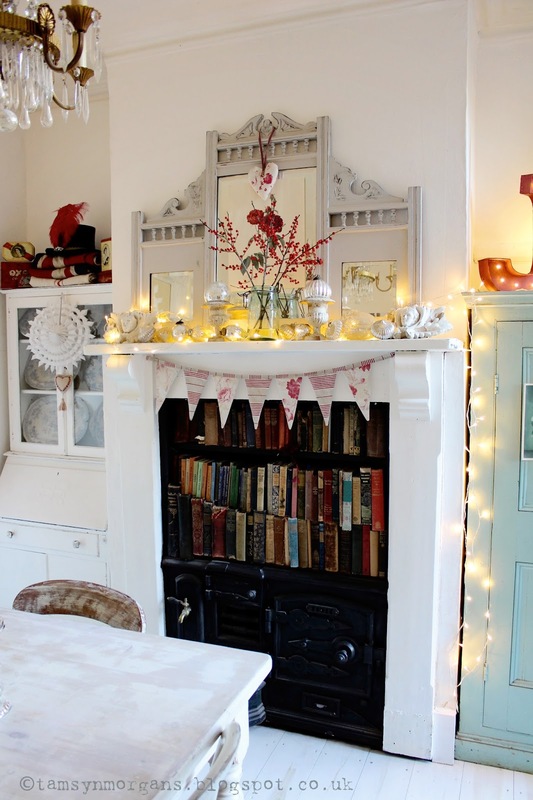 I love all the accents of red in this room – can’t beat white, red and a touch of green for a true vintage Christmas feel!